Earlier today, the organizers of this year’s IngenuityFest announced the music lineup for this year’s event. 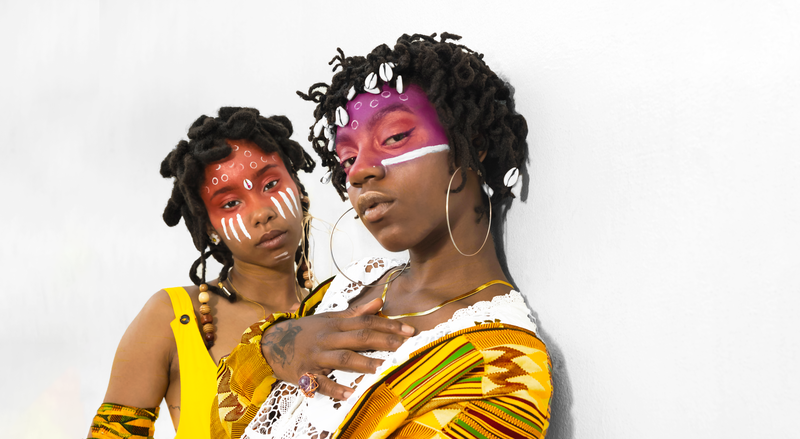 The event takes place on Sept. 28, 29 and 30 at the Hamilton Collaborative (located at 5401 Hamilton Ave.) and will feature headliners OSHUN [pictured] and Dressy Bessy. 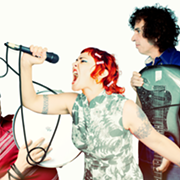 Other acts slated to perform include Mourning [A] BLKstar, Illuminati Hotties, Champagne Superchillin', Saint Sister, Squonk Opera, Herzog, EYE (Columbus, OH) and the Burning Peppermints, to name just a few of the groups on the bill. “I’m incredibly proud of this year’s music schedule. 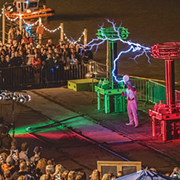 It’s one of the most diverse, unique and engaging lineups our city has seen in a while, and I can’t wait to showcase these artists from around the world who are creating distinctive art experiences,” says James Carol of Cleveland Music City, head of music booking for IngenuityFest,” in a press release announcing the lineup. Now in its 14th year, this year’s event has adopted the theme of "FuturePast" to indicate that the artists participating will embrace "a return of cherished traditions melded."